Part of an extended-period SDARC-Members-only Award Scheme to encourage on-air operating, to have some competitive fun playing radio, to raise the profile of SDARC on the air and to reward members making consistent use of their radio gear. Go on, have a go !! If you have a short contest call and work some squares you MUST log the QSO on this site with your main station callsign and NOT your SCC. Every licensed member of SDARC is encouraged to enter, using your own Call Sign. Your Aim is to work as many UK/EI Maidenhead Squares as you can during the Award period. Work stations normally aiming to discover each one’s locator square. -There are ~45 ‘possibles’ ! Explain to stations being worked about the SDARC Club Award and why you need their “square”. This may not appear ‘normal practice’ on HF, so you will occasionally have to explain your interest. 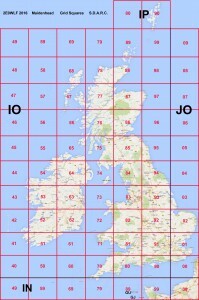 QSOs may be made from 1 February to 31 October 2016. You have NINE months in all. You choose ONE of four TX Power categories, as permitted by your licence (10/50/100/400W). Your transmitter & antenna that put RF into the air must be within 25 miles of your QTHR. Direct contacts only… no repeaters, satellites or Echolink/Internet contacts. from scores for the ‘whole year’ award. You must declare an update of your total counties worked by the end of month 2 of each period. You must submit your Progress Form for each period within 28 days of the end of the period (or submit online). Your first Progress Form determines your chosen Power category for all periods. The Judges decision in all matters is final. These Rules, Progress Forms and a helpful UK Map may be downloaded below. For each QSO you wish to submit, please click here to submit electronically. You will be able to submit another QSO immediately afterwards. We are requesting you to submit electronically so that we can automatically populate a league table which you will find at the bottom of this page. You will be able to see who has entered, their category and how many Squares they have worked in each period. A ‘league table’ of results for each period will be published after each period closes. Year-end results will be announced in December 2016 By entering, you agree that Results & any photos may be sent to RadCom & the SDARC website. No-one will receive more than one Award… so there should be 16 winners! Go for it! Remember to tell stations you contact about the SDARC UK/EI Award. …It raises the profile of SDARC on the air ! 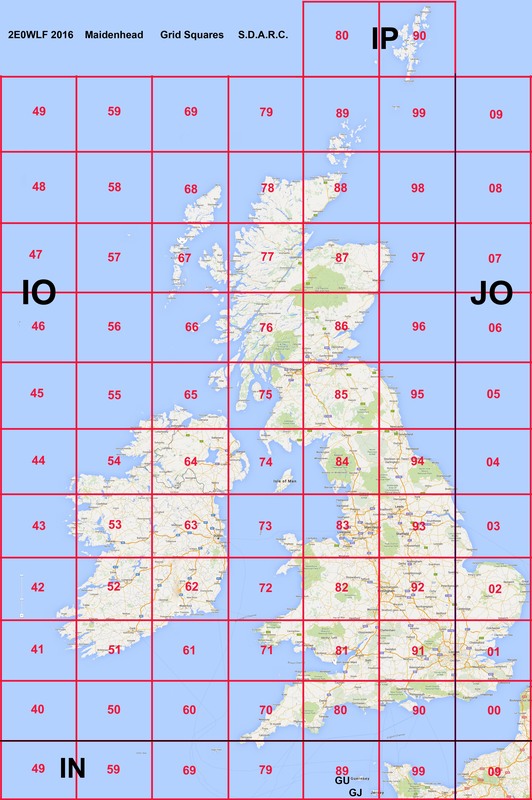 http://www.levinecentral.com/ham/grid_square.php – Great for helping you work out the locator if all you know is where they are.